Today is four years since Hector died*. I of course posted a picture of him on Facebook today, and I still cannot get my mind around the huge hole in my life left by him. I loved him so very much. If I ever DO get past the writer's block, I will finish my book, which includes Hector's Story. Until then, if you have the patience to read an unedited version in which the photos don't display (!!) then you may do so here. Or, you can just go up to the menu on this blog and click on the "Hector" tab. As most of you already know, my beloved Hector died on August 28, 2011 just one week before his 10th birthday, due to a brain aneurysm. He had tripped on the stairs a few months earlier, and evidently hit his head, sustaining a head injury, and began having seizures which were frequent and frightening, throughout that whole summer. 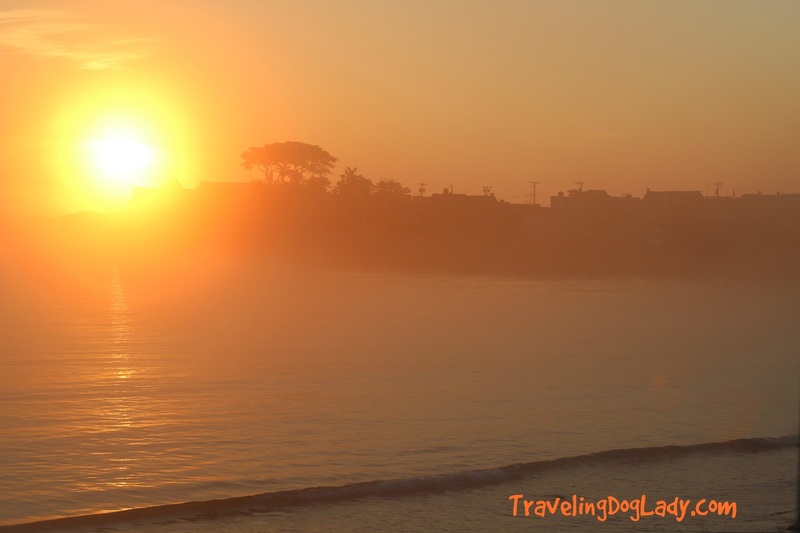 We had a wonderful summer that year, and I am grateful to myself that I had the aforethought to spend so much time at the lake and the ocean with my two dogs, Hector and Hobie. Hobie, being the elder of the two, I never imagined in my wildest dreams that he would out-live Hector. If you've ever seen anyone having a seizure, it is extremely frightening and disconcerting. With a dog, it can be dangerous during the post-ichtal phase (after a seizure) because they can bite and snap, knock you over, etc. This is because they sometimes have a short time of disorientation afterwards, and Hector actually had temporary blindness after a seizure. After he regained his sight, he would then try to crawl into small spaces: under a desk, into a closet, into the fireplace! He did not realize what a car was, or how to get into the car, the first time he seized. He would also run around the house, or the back yard, for up to 30 minutes after a seizure, and would drink tons of water and urinate repeatedly. But the worst part was the biting and running at you at full-speed, knocking you to the ground post-seizure. All of these memories are very hard to extinguish all these years later. And, I can't believe that "all these years" is a phrase I just wrote. It seems like he left us just yesterday. I still feel him in my heart, and now he has the company of Gil and Hobie. Enough about that. I was going to wait to announce this, but I have learned that there is no time like the present. So, here it comes: My long-term goal, which I have been planning since Mr. Kitty and Timba died, is to become a pet grief and loss counselor. I am hoping to finish the educational/certification part of that within the next year, and begin helping others (if they'll have me) live with the pain and grief of losing a beloved pet. In the meantime, I devote this website to my beloved pets who I miss every day, and of course those who are still with me: Charlie Brown, Cooper, Cali, Tux and Newman. But for today, this is Hector's day, and I just want to say, "Mommy misses you, buddy, every single day. I love you to the moon and beyond." 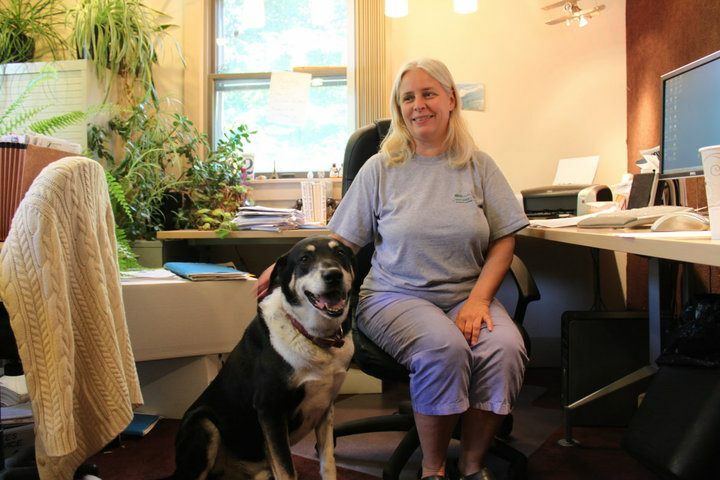 Hector passed away during Hurricane Irene in 2011. His passing was not due to the hurricane, however. Here we are 6 years later, and Harvey has devastated parts of Texas. Through September 4th (Hector's birthday) 25% of your purchases at Jacksongalaxy.com will help victims of Hurricane Harvey. See below affiliate link. And also the Teddythedog.com link below to help support SPCA of Texas. Help with Hurricane Harvey: 25% of all sales now through 9/4 will be donated towards these efforts. Click here to learn more and donate. *This is a re-post from two years ago. Before the summer ends, I figured it might be a good idea to return to Cape Cod. I hadn't been there since I sold my beach cottage last September, and a visit was long overdue. The first thing I did was stop in Stoughton to pick up a print of Nauset Lighthouse that I had found by sheer happenstance while dropping off some old tapes to a local musician who played on those recordings many moons ago. Well, somehow the painter and I got our signals crossed, and the print was not waiting for me to pick up at the cafe where it was supposed to be. In hindsight, I should have purchased the one that was on their wall, and told them to just take the replacement when it arrived, since I don't live anywhere nearby. As it turned out, the artist was actually in Eastham, where I was going, but the print was sitting on his fireplace mantel at his home! Oh well. Wasn't meant to be. We will figure out a way for me to get the print. In the meantime, here's a picture of it that I snapped with my phone while at the cafe. See the reflected light in the background? That is NOT part of the painting.... it's a wall sconce in the hallway of the cafe. Freaky, right? This view of Nauset Lighthouse was my view from my back yard for 12 years (see photo of Charlie below!). It is no coincidence that this painting was hanging in the little cafe where I met the musician to drop off the tapes! No coincidence at all. Photo from my back yard a couple years ago! This should have been a signal to me as to how the rest of the day was going to be, because everything that could go wrong, did. For starters, it rained all day. Not heavy rain, but certainly not a beach day. Nevertheless, I have always felt that Cape Cod is beautiful no matter what the weather, and that includes winter. Off-season (before Memorial Day, or after Labor Day) is the best time to visit the Cape. I lucked out that the crowds were non-existent on this day. I was thinking that maybe I wanted to own property again on Cape Cod, and so I combined my trip with a looksie at a mobile home in an RV park in the town of Dennis. I am somewhat unfamiliar with Dennis, other than just passing through on beautiful Route 6A (if you ever get a chance to drive Route 6A from Bourne to Provincetown, I highly recommend the trip -- it is gorgeous). The RV park is in a more-or-less industrial section of Dennis. I kept driving up and down Great Western Ave which is an industrial area, and I couldn't seem to find the beaches of Dennis. I visited the mobile home. It was really cute! I strongly considered buying it at the amazing price of just $10,000!! But, after much, much consideration, I realized that Dennis is not my cup of tea, and that my dogs would not do well in the RV park because the sites are very close together, and there are a lot of people and children riding bicycles. My dogs and bikes do NOT get along, unfortunately. 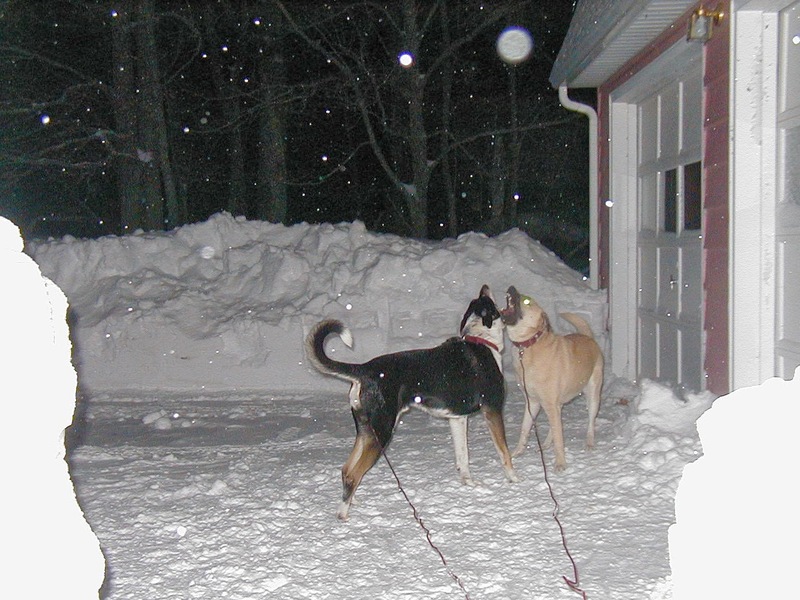 My dogs are super reactive, and we need wide-open spaces with a secure fence, like we had in Eastham, and like we have at home. So, nope, this RV park lifestyle, while appealing for some reasons, isn't a good fit for me right now. Not to mention that the trailer needed a lot of work. The toilet needed to be replaced immediately, the floors and walls needed updating, and the outside was a big mess that needed major cleaning up. With my fibromyalgia and arthritis, I cannot take on such a project, physically. Also, one of the main reasons I sold the Eastham cottage was because of the "money-pit" aspect, and all the upkeep and the distance. I'm not ready to take on a "project" right now, and especially a long-distance one. It hasn't even been a year yet. Pictures of the trailer I looked at. Cute, but unsuitable for a lady with crazy, large dogs. After seeing the mobile home and talking at length with the manager (I really was serious, but in the end decided not to buy), I tried, desperately, to find the beaches in Dennis. What in the world? They were impossible to find! When I finally did, I realized one side is the bay, and the other is Nantucket Sound, and neither is my kind of beach. I'm kinda a beach "snob" -- meaning that I like long, long, long walks on wide open beaches, such as Nauset Light Beach, or Salisbury Beach, Gloucester and Duxbury that I visited earlier this summer. When I pulled into the parking lot in Dennis and the attendant asked me for twenty dollars, I just knew in my heart that I wanted to spend my twenty dollars, and my afternoon, in Eastham instead. I politely thanked him and asked if I could just turn around. I then made a bee-line for Eastham! The wide-open space of Nauset Light Beach/Coast Guard Beach in Eastham. Arriving at the parking lot of Nauset Light Beach (ahhhh! my favorite place on Earth), it was the first time ever that I had to pay to park. Since it was a cold and rainy day, there was plenty of room (in August!). I paid my $20 and decided to mention to the attendant that I used to own the house across the street. He, in shock, asked me why I sold it, and I told him I couldn't afford the mortgage and upkeep anymore. I parked my car, and packed up the things I needed to carry with me, and made the familiar trek to the beach. I certainly felt like I was home. Being on the beach itself was fabulous, even though it was cold and overcast and drizzly. I needed to wear my long-sleeved sun shirt but no hat! I forced myself to swim, even though it was incredibly cold. But afterwards, washing off in the not-private ladies' shower/changing room; and using the toilets that did not flush properly and were (to put it bluntly) gross, really bummed me out. I used to be the "elite" cottage owner. I felt as though I were slumming. To top it all off: no seals! I always used to say that the seals were my past dogs, reincarnated, and I always imagined they were "walking" with me on the beach. I spent the whole afternoon there, and didn't see one seal! Since I've been gone, they left, too, evidently. A seal, saying goodbye to me in 2016. About 10 days before my trip, I had seen on the news that a whale had beached itself on "my" beach. I did not realize that the whale was just left there to deteriorate (and feed the wildlife), so I was a little surprised when I saw the carcass on the beach! ("What's that smell?!" Ewwww). I did take a few photos of the remains. The birds and sea creatures certainly will be well fed, and the sea will take back its whale. It made me harken back to about 30 years ago when Timba found a whale carcass on the beach in Truro... you should have seen me trying to get her to stop rolling in it! Ah, dogs. Glad (for that reason) I didn't have Charlie or Cooper with me on this day. I stopped and said a prayer to the sea gods, on behalf of the whale. Charlie, chillin' out on the porch at the Eastham cottage. Memories! Get 20% off travel accessories & crates with code TRAVEL20 at Cherrybrook.com! Sale ends 8/31. Of course, I had to go look at "my" house since I was right there across the road. The new owners have it listed for rent online (not pet-friendly! ), and I saw photos of the inside on the rental website. They did a nice job (other than taking out the fireplace and taking down the fence!). It's not something I could have afforded to do (renovations) and it's nice that someone took it over and are keeping it maintained. They even added heat and air-conditioning. From the outside, I could see how they had replaced some windows, had enclosed the modern outdoor shower, and a few other things. I miss the place, but not much. Not enough to own it again, that's for sure! Someone was trying to tell me something, all day that day, and it made me realize I'm not ready to return to Cape Cod permanently, yet. But I still love it, and will always make it a point to visit at least once or twice each year. I'll just make sure I have better plans when it comes to bathrooms and parking! Want to know more about Cape Cod? After living there for 12 years, I know a lot. Ask me some questions in the comments! This is a sponsored post for Weruva pet foods. The kitties and I were compensated with a box of Weruva cat food and some toys. No monetary compensation was received. This past week, on August 8th was International Cat Day. A week before that, on August 1st, was "Gotcha Day!" for both Tux and Cali. In late-August is Newman's gotcha day, as well as Cooper (the dog's) gotcha day! Not only that, but, Happy Healthy Cat Month is in September. With all that cat-ness going on, this is the purr-fect time to talk about our feline friends' diet (or lack thereof). Tux, checking out the goods! Tux isn't really a picky eater. He will eat just about anything. Cali and Newman will also, but they usually "regurgitate" right afterwards unless it's a certain kind of food. Available for this project was Tux, who showed up at the kitchen table almost immediately after I woke up the morning I took these picture and videos of the package of goodies we received from Weruva. But some cats are picky eaters, and did you know that's one of the three most common cat concerns? It's true: picky eating, weight gain and urinary tract issues are the top three issues that concern cat parents. I learned about this by partnering with Weruva -- they're launching a full line of gluten, grain and carrageenan-free cat food in honor of International Cat Day. It's a luxurious, natural pet food dubbed "people food for cats", and it's called B.F.F. OMG! (that stands for Best Feline Friend, Oh My Gravy! ), and it's designed to aim at preventing these Big 3 Cat Concerns. Great new flavors, and I love the artwork! If your cat is experiencing any of these three issues, you might want to consider some dietary changes. For instance, is your cat picky? Picky eating is usually a problem with texture (or, as my veterinarian explained it "shape"). Since cats are carnivores whose tongues and teeth are perfectly evolved for meat-eating, it's easy to see why a cat might dislike something without real shreds of meat. If you're a meat eater (I'm not) would you eat steak with the consistency and texture of tapioca? Of course not! Weruva's food features real shreds of meat right off the bone, which is why Tux basically devoured the entire thing especially the gravy! Lots of great flavors. All grain, gluten and carrageenan-free; with cute names. "People Food For Cats"
Bonus: Weruva sent me the package from their headquarters right here in Natick, Massachusetts just 5 minutes from where I grew up --- and it's the town my father worked in for many years! Not only did we get a groovy box of cat food, but we're supporting a local business by writing this post. Booya! Is yours a Fat Cat? The problem is in the kibble, which is usually filled with unnecessary carbs that are almost impossible for cats to process (they don't produce amylase, an enzyme that helps humans digest food). Weruva's B.F.F. OMG! has no kibble to worry about because it's made from 100% real meat in true form. Then there are the poor kitties who have the dreaded UTI issues. UT-why? Urinary tract issues often stem from dehydration -- even if you're giving your cat plenty of water. Or, if he's drinking it straight out of the faucet like Newman does! In the wild, cats stay hydrated via the food they eat instead of what they drink. Cats are used to "eating" their water -- but most wet foods don't have nearly enough hydration to keep cats satisfied. All of the products in the new B.F.F. OMG! line by Weruva are over 85% hydration, which satisfies a cat's hydration needs just about purr-fectly! I really got a kick out of Weruva products because they are considered ‘people food for pets.’ The new line of B.F.F. OMG! cans and pouches feature land proteins like boneless and skinless white chicken breast, salmon, beef, duck, lamb and more. All recipes are grain, gluten, and carrageenan free. And if you are a BPA-free home, check out the pouches because they are are BPA-free. Best of all, Tux loves it! And, did I mention, we're supporting a local business?! Has your cat experienced one or more of the Big 3 Cat Concerns? This summer has become an unplanned "one beach per week" road trip extravaganza for me. One perk of no longer owning a vacation home is that you don't "have to" go there. You can go to other places. A few weeks ago, I went to Duxbury Beach. Fabulous, lots of parking, a little pricey at $20 for the day, but there are bathrooms, showers, a decent walkable beach with too many rocks, and a snack bar. I even was able to swim (well, ok, "dip")... the water was a tad chilly. Despite the rocky terrain, this isn't Rockport.... it's Duxbury Beach. Then, I spent a whole week in Rockport. You can read about that here. 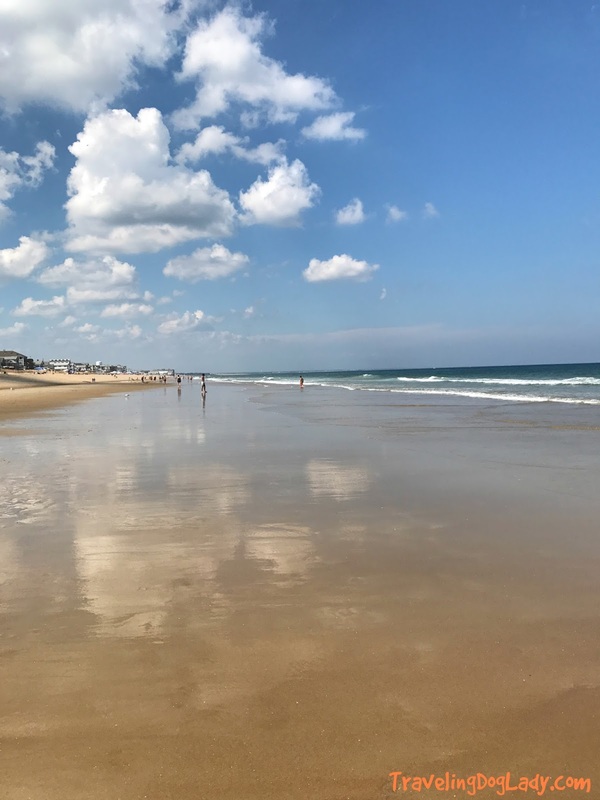 On Thursday, I had an appointment in New Hampshire, and realized I would be just 30 miles from the more-northerly beaches (more northerly than Rockport, that is). But, surprisingly the water was much, much warmer. It was a toss-up between Hampton Beach, New Hampshire, or Salisbury Beach in Mass. The two being literally within walking distance of each other. I opted for Salisbury because a) I spent a lot of time there when I was a kid; and b) there is a "state park" where you can park for the day for just $14 if your car has a Massachusetts license plate ($16/day if out-of-state). I deliberately arrived at 2:30 to avoid the crowds. At a pit stop to pick up supplies and some Aleve (headache!) at Rite-Aid, I got talking with the clerk, and she suggested I wouldn't be able to get a parking space at that time of day. But I knew better and hedged my bets. To prove me right, the parking lots were basically empty. Score! I had the entire bath house to myself, and there were plenty of prime places to plunk my umbrella into the ground and set up my towel and cooler for the afternoon. Salisbury has several bath houses, and several parking lots. You can park hundreds of cars there on any given day. Each parking lot has its own bath house and its own shower area -- one for men, one for women. It's very well organized. I thought there was a snack bar, but I tend to avoid the crowded areas of the beach (I call it "The Clump") and so I never went over that way to investigate further. Check online before you go -- I brought a small cooler of food with me and was very happy. A check of the beach's website does not indicate whether or not there's a snack bar, so be prepared and bring your own food just in case. I walked for miles on this beach. I almost walked all the way to Hampton, NH, which IS possible, but I didn't feel like continuing, so I turned around and walked back to my towel. I carried my valuables with me in a plastic drawstring backpack that I got at a pet charity festival. The thing comes in really handy at the beach, and I highly recommend one for this purpose. You put your phone, keys, camera, money and a bottle of water in the backpack, throw it on your back, and you can got for a long walk without worrying about your valuables. You need to get creative when you travel alone. Nobody to watch your stuff, you know! The beautiful Salisbury Beach in August. You can walk for miles, and swim safely. I also swam, really swam, for the first time all summer. The water was beautiful. Unusually warm; and the waves, although high, were gentle. I can get a little freaked out by the ocean sometimes, as I've had some not-so-fun experiences with undertow and being slammed by large waves. So, it was a real treat to have some fun actually swimming in cold north Atlantic waters for a change. Not like two weeks ago in Rockport... brrrr! I had to wear a long-sleeved sunscreen shirt in order to swim!! The only thing I didn't like about my return to Salisbury was that the beach is not dog-friendly. "No dogs allowed" flashed in orange neon lights on a DPW message sign at the entrance to the park. Along with "Road construction beginning August 7th", or whatever. In other words, dogs are SO not allowed here, and they want you to know that while you are still on the main road, before you've paid your fourteen dollars. Boo. When I got up to the houses on Salisbury Beach proper, though, (this is a private beach area but you can still walk on it as long as you are just passing through) there was one guy and his dog playing with a ball on the beach. The ball rolled right into my path, and I was able to kick it back to the dog. The guy laughed. I laughed. The dog wagged its tail and grabbed the ball. I got my fix! As usual, I like to take the back roads on my local journeys. Salisbury is just under two hours from my home by highway, three if you take the scenic option. A super-easy day trip and well worth it on a weekday at just $14! I think it may cost up to $20 on weekends, but again, check before you go so you are not surprised. 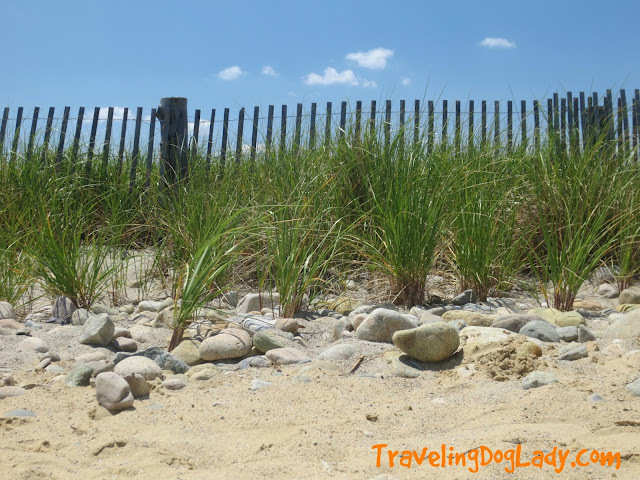 I started my trip in Salem, NH because I had an appointment there, so I took Route 110 "the scenic route" to the beach. It was lovely. On the way home, I made an error and decided I couldn't resist the temptation of real fried clams from a drive-in clam bar. This landed me squarely in work traffic (after I ate the clams, in my car, at a cemetery -- hey, I never said I was normal! Widows learn to embrace cemeteries. They are peaceful places, and a nice quiet place to eat without anyone gawking at you. Dead people don't gawk, or tawk!). In my attempt to avoid the work traffic, I stupidly jumped onto Route 495 south, which was moving, as compared to 495 northbound which was a "parking lot" (or as we say here in Mass. "pahkin' lawt"). Unfortunately, further down onto 495 south, traffic was at a standstill. As soon as I could, I took the first exit and found my way back home utilizing highway-avoidance techniques. However, that added an hour to the trip. I arrived home at almost 8 pm. Not exactly what I had planned. But it was such a beautiful day, I couldn't complain. Next up: my return to Eastham. It's been almost a year. I can hardly believe it, time went by so fast. Stay tuned for my next Road Trip Travelogue report from ol' Cape Cod! What adventures have your road trips taken you on? Tell me all about it!